Welcome to what's new in the market. It's a weekly update where we fill you in with new products, new trends and reports within the insurance industry! 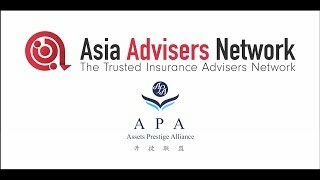 This week, Asia Advisers Network was the media partner for the 14th Asia conference on Healthcare and Health Insurance organised by Asia Insurance Review. The topics were so wide-ranged and contained many impressive insights of what insurers are doing (and who they’re partnering) for healthcare and health insurance. AIA Group Limited (“AIA”) reported strong growth of across their main financial metric for 2018. 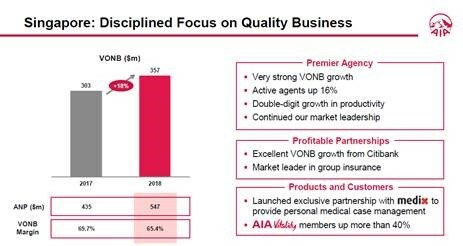 AIA Singapore achieved outstanding growth in 2018 attributed to strong results across all channels. Double-digit growth in Value of New Business (VONB), by 18 per cent to US$357M, mainly driven by the agency channel and our strategic partnership with Citibank. Strong growth in Annualized New Premium (ANP), by 26 per cent to US$547M, driven by regular premium protection products in all channels. IFRS Operating Profit After Tax (OPAT) increased 7 per cent reflecting long-term sustainable business growth. 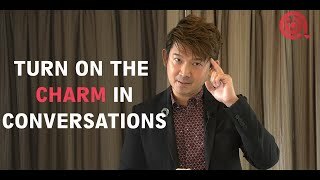 In 2018, AIA Singapore developed several innovative digital tools including a new mobile application integrated with their propensity models that helps their agents engage with customers more effectively to better meet their needs. The introduction of these tools and targeted recruitment and training programmes drove active agent growth and increase in productivity. Medix (Personal Medical Case Management Service) – provide customers with Personal Medical Case Management Service with no additional charge. The exclusive partnership with Medix enables AIA Singapore customers to receive the best possible treatment and personalised ongoing support throughout their medical journey until recovery when faced with serious medical conditions, boosting customer experience with quality healthcare. Obtaining timely and accurate diagnosis and having access to optimal treatment will alleviate stress and provide peace of mind for customers and their families in their time of need. AIA Pro Lifetime Protector – In response to young families’ concerns on facing the risks of pregnancy complications, birth defects, long-term impact of a child’s developmental and learning disorders and managing the high costs of raising a child, AIA Pro Lifetime Protector was launched in 2018. It is an all-in-one investment-linked plan, alongside three distinctive riders, with market-first features specially introduced to help address the unmet needs of young families in Singapore. POS EZ – An online platform that affects the way after-sales service is being conducted. With this platform, the agency can facilitate a multitude of customer requests digitally with customers authenticating their requests securely anytime, anywhere. POS EZ was recognized by being awarded as 'Innovator of the Year – Life Insurance at the Singapore Business Review Management Excellence Awards 2018'. Also, AIA Singapore reported a strategic partnership with Citibank delivered excellent VONB growth, with a focus on recruiting and enhancing the productivity of the bank’s insurance specialists to address customers’ protection needs. Across the Group, Prudential plc reported a 6 per cent increase in IFRS operating profit to £4.827 billion, 11 per cent increase in new business profit (NBP) to £3.877 billion, 14 per cent increase in underlying free surplus generation to £4.047 billion, and a 5 per cent increase in the full year ordinary dividend to 49.35 pence per share. Continue to develop and expand our products, distribution capabilities and footprint in Asia. IFRS operating profit rose 14 per cent to £2.164 billion, while underlying free surplus generation increased 14 per cent to £1.171 billion. Focus on the higher-value, regular premium paying health and protection business drove a 14 per cent growth in PCA’s new business profit to £2.604 billion. Broadened product suite in 2018 to include tailored propositions for the high-net-worth and corporate segments and developed new products for customers with specific needs, such as pre-existing medical conditions. Distribution capabilities were enhanced by new digital technology and provide a seamless and differentiated customer experience from point of sale through to making a claim. Broadened reach through new partnerships with leading banks in several markets, including Thailand and the Philippines. New business profit increased by 15 per cent on higher Annual Premium Equivalent (APE) sales (up 5 per cent), driven by agency and bancassurance channels, pricing actions and favourable product mix shifts. Pruworks, a digital platform designed to help small-and-medium sized enterprises (SMEs) grow their business as well as attract and retain talents. PRUactive saver, a new insurance savings plan that allows customers to tailor their policy to meet their financial goals and commitments. Ping An Insurance (Group) Company of China, Ltd (“Ping An”) reported a growth of 18.9% in operating profit attributable to shareholders of the parent company and cash dividend growth of 28% and adoption of its first share repurchase plan. Operating profit attributable to shareholders of the parent company grew 18.9% year on year to RMB112,573 million, recording an operating return on equity (“Operating ROE”) of 21.9%. Group Embedded Value hit RMB1, 000 billion for the first time, being RMB1, 002.456 billion n (=RMB54.84 per share), up 21. % year on year. Retail operating profits rose 31.1% year on year. The retail business accounted for 86.8% of the Group’s operating profit attributable to shareholders of the parent company. Retail profit growth was driven by an 11.0% rise in retail customers which stands at 184 million coupled with an 18.1% rise in operating profit per customer. Group acquired 40.78 million new retail financial customers last year of which 14.50 million were sourced from our five internet ecosystems which have 538 million unique internet users. Group has significant scope to further penetrate its internet user base as 381million use our internet services but are not yet our financial customers. Cross sell penetration accelerated. 184 million retail financial customers have 2.53 contracts per customer and 34.6% of them are holding products from multiple business units which are up materially from 19.0% in FY15 despite rapid growth in number of new customers. Ping An’s technology patent applications increased to 12,051, up by 9,021 from the beginning of 2018, covering artificial intelligence (“AI”), blockchain and cloud computing. Life and Health NBEV rose 7.3% year on year after growing 16.9% in the second half of 2018. Ping An Life recorded a 30.8% Operating ROEV. Fintech and healthtech business’s operating profit attributable to shareholders of the parent company rose 24.9% year on year, accounting for 6.0% of the Group’s operating profit attributable to shareholders of the parent company. Lufax Holding completed C-round financing, implying a post-money valuation of USD39, 400 million. Ping An has face recognition (accuracy rate of 99.8%), voiceprint recognition (accuracy rate of 99.7%), and medical image recognition technologies. Ping An Brain smart engine received the Wu Wenjun AI Science & Technology Award. Ping An’s medical imaging technology won the champion in a number of international contests such as lung nodule detection, gastric cancer screening and diabetic retinopathy detection. Ping An’s smart imaging products have empowered 21 provinces and 62 cities, and have been deployed at about 110 hospitals. The AI-based consultation system has covered over 700 diseases and deployed at about 100 medical institutions. 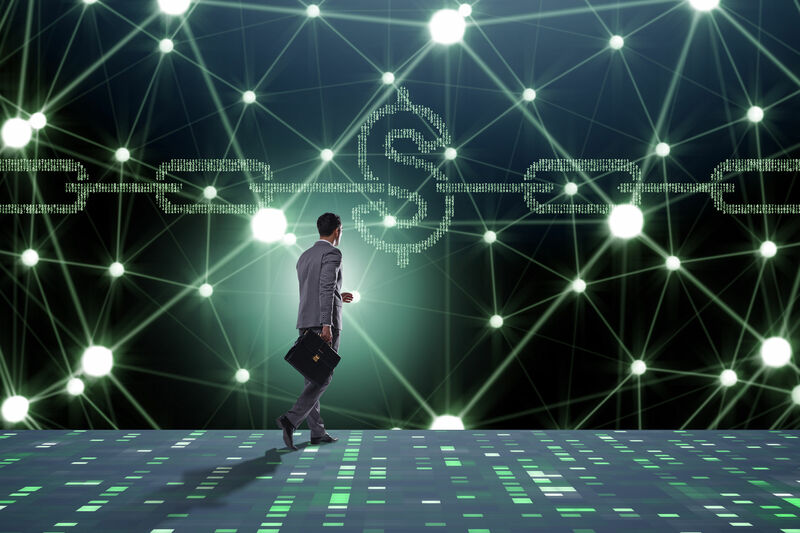 Ping An has built a commercial blockchain platform, with over 44,000 blockchain nodes worldwide spread in more than 200 banks, 200,000 enterprises and 500 governmental and other business organizations in China and overseas. 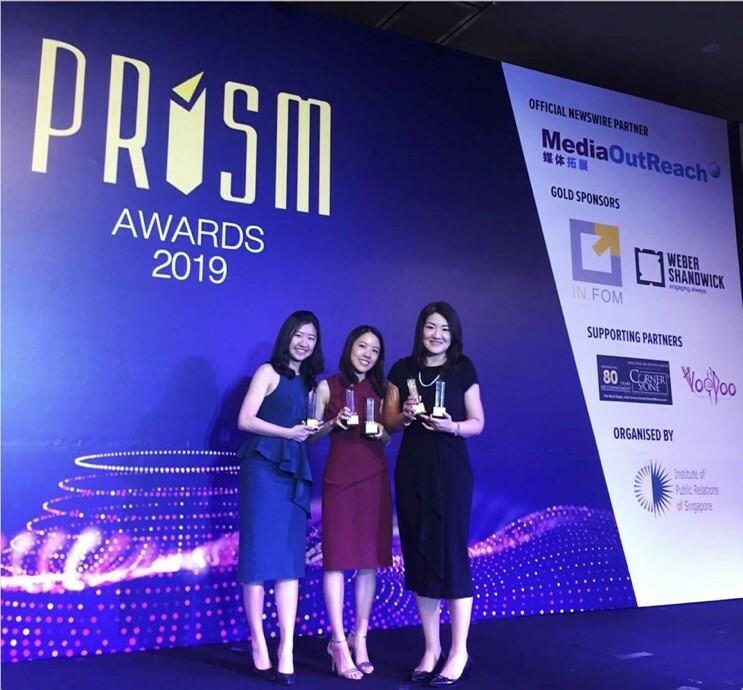 AXA Insurance (AXA) has been honoured with five prestigious awards at the Institute of Public Relations of Singapore (IPRS)’s 15th PRISM Awards 2019, comprising two Excellence Awards and three Merit Awards. These accolades recognise AXA’s efforts to carry out its brand purpose to empower people to live a better life through product excellence, usage of data and insights, community engagement and outreach as well as partnerships with like-minded organisations. Excellence in the Outstanding Content category for championing safer mobility through a content-driven campaign based on a consumer survey to understand behaviours and experiences of road users in Singapore. Excellence in the Outstanding Social/ Digital Media Campaign category for demonstrating its role as a health partner to customers and the wider community through its multi-year series of social media driven challenges. Merit in the Outstanding Financial Communication Campaign and Integrated Campaign- Financial Services category, for its efforts in raising awareness of the critical illness (CI) protection gap in Singapore. Merit in the Outstanding Corporate Responsibility Programme category, by supporting the community who need a helping hand in the “For Good” Challenge series, through embedding CR elements such as charity donation into its products and partnering SportCares Foundation and Singapore Cancer Society. Merit in the Outstanding Integrated Campaign category, for supporting the community to celebrate bouncing back from adversity and partnering local charitable institutions like the Singapore Cancer Society and SportCares Foundation. Online Wealth management platform by Lu International (Singapore) Financial Asset Exchange Pte Ltd (“Lu International”) was awarded the Best Application of FinTech (ASEAN) by Asia Asset Management. Lu Global is an online wealth management platform enabling access to wealth management products that were previously available to mainly private banking and institutional clients. The platform caters to only accredited investors in Singapore, but a broader range of investors in other Asian markets. Lu Global was awarded for its sophisticated technology and strong, reliable security processes. It taps on Ping An's technology, to create an end to end process with minimal human intervention and a data-driven risk management framework. The technology powering Lu Global plays a vital part in ensuring a smooth customer journey on the platform. For customers who download the app, onboarding is entirely digital. For instance, the account opening process can be completed within 11 minutes or less. Research has found that investors increasingly prefer intuitive interactions and efficient solutions which are as easy as placing an order with Google or Amazon. Digital platforms are becoming a norm, as the phone is becoming such a strong interface, so it is only natural for financial services to move towards that too. 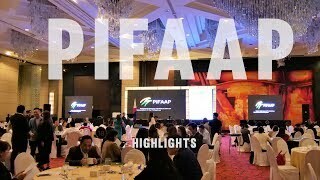 In response to this need, a growing number of financial institutions in Asia are taking note of investors’ appetite for digital services and developing solutions which cater to this market. Lu Global is has a fully online account opening process. The onboarding process runs multi-level checks on investor details including real-time face verification and name screening checks. Investors use their mobile phones to scan documents to capture key data and store identification documents. GPS technology is used to verify the address provided. Post-onboarding due-diligence involves on-going automated name screening and transaction monitoring. The platform employs stringent KYC standards. This involves employing a fully digital: Know Your Product (KYP) process, Know Your Customer (KYC) processes Anti-Money Laundering (AML) and anti-fraud controls. Kenneth Tsang has been appointed Managing Director, Head of Real Estate Asset Management, Asia. 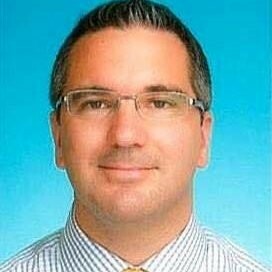 Based in Hong Kong, he will report to Ted Willcocks, Global Head of Asset Management, Real Estate. With over 20 years of experience managing office, industrial, residential and mixed-use real estate across the region. 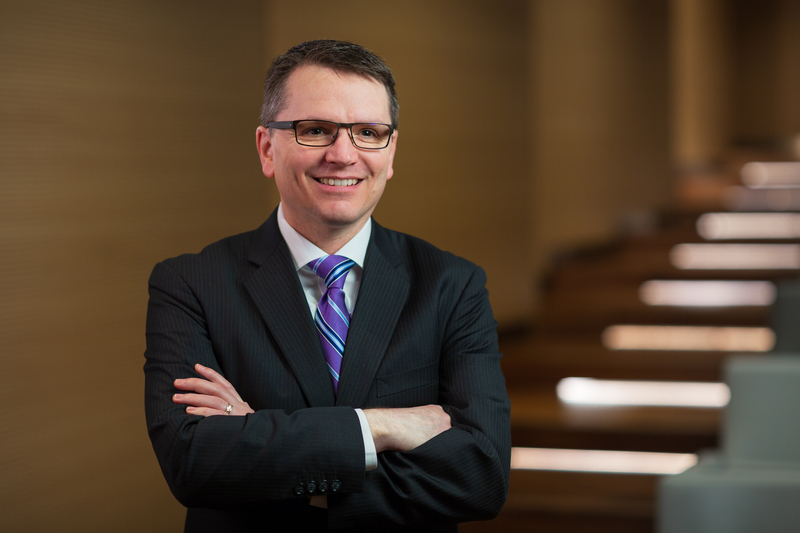 His responsibilities include overseeing Manulife’s growing real estate investment in Asia including Hong Kong, Shanghai, Singapore, Melbourne and Sydney. 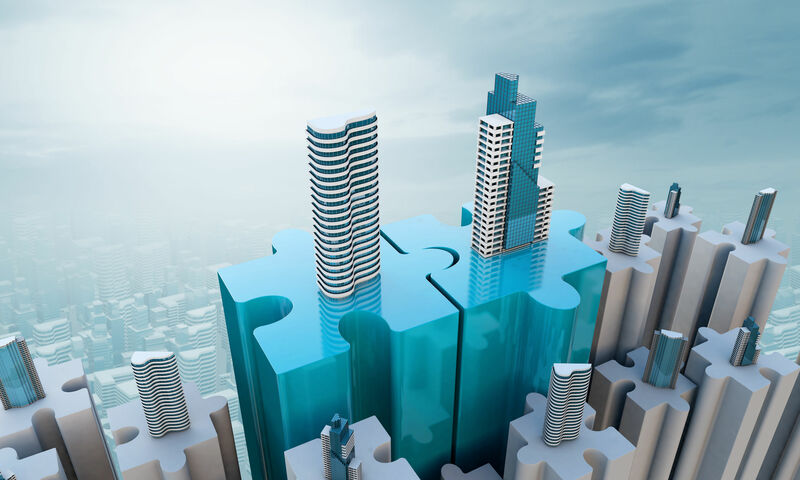 He will also be responsible for asset management and the overall performance of the real estate portfolio, while implementing effective business strategies and programs to maximize portfolio returns. 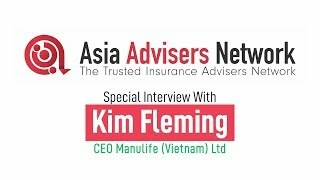 Prior to Manulife Real Estate, Kenneth was General Manager, Property at KHI Holdings Group, and a member of the company’s management team where he co-led the acquisition, asset management and divestment of real estate assets in Australia, China, Hong Kong, Japan and the UK. Aviva Investors, the global asset management unit of Aviva PLC, has appointed Paul LaCoursiere as Global Head of ESG Research within its Global Responsible Investment team. Based in London, he will report to Steve Waygood, Chief Responsible Investment Officer. In his role, he will be responsible for the corporate environmental, social and governance (ESG) research process at Aviva Investors, including the integration and monitoring of ESG Criteria within Equities and Credit. He will jointly lead the research team with Mirza Baig, Global Head of Governance. Paul has 17 years of experience in the asset management industry and in the last three years, Paul was Global Head of Corporate Research, Aviva Investors. Christian Sandric has been appointed President and CEO of AIG Singapore. He will be based in Singapore and reports to Sachin N. Shah, CEO, Asia Pacific, AIG General Insurance. Christian takes on the role at AIG Singapore after serving as Head of Personal Insurance for AIG Japan Holdings KK in Tokyo. During his 20 year career with AIG, Mr Sandric has held a series of leadership positions of increasing responsibility across multiple markets. His responsibilities include leading AIG’s business and operations in Singapore with a focus on strengthening the company’s position in the country.